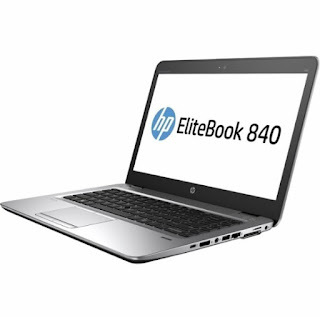 The HP ELITEBOOK 840 G3 V1H24UT is laptop PC which is equipped with the processing power of 6th Generation Intel Core i7-6600U ultra low voltage dual core SoC that features 3 MB level 3 cache and runs at the base clock speed of 2.6 GHz with Turbo Boost to speed up processing up to 3.4 GHz. It also has Hyper Threading technology to work with 4 threads at once. This also offers a integrated GPU called Intel HD Graphics 520 with 24 Execution Units are clocked at 300 - 1050 MHz and offer a performance somewhere in range of a dedicated GeForce 820M. 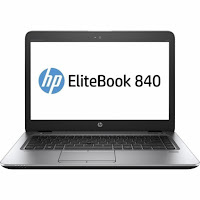 This HP ELITEBOOK 840 G3 V1H24UT laptop PC is packed with different features such as 8GB DDR4 SDRAM system memory for advanced multitasking; 256GB solid state drive (SSD) which is much better then HDD; Audio by Bang & Olufsen; Integrated dual array microphone; Integrated premium speakers; HP Noise Reduction Software; HP Clear Sound Amp; Spill-resistant keyboard with drain; Glass touchpad (with chemically etched surface) with on/off button, supports 2-way scroll, taps and gestures enabled by default, two-finger scrolling, two finger zoom (pinch), Pointstick; built-in fingerprint reader; media reader for simple photo transfer; HD webcam with microphone and a 3-cell, 46 WHr Li-ion battery with up to 9 hours of battery juice. It comes in black color for stylish look. This HP ELITEBOOK 840 G3 V1H24UT comes packed with 14" diagonal Full HD SVA anti-glare with a screen resolution of 1920x1080. This resolution is quite high so it is expected that it is sharp and clear compared to laptops with lower resolution. It offers energy-efficient slim LED backlight. 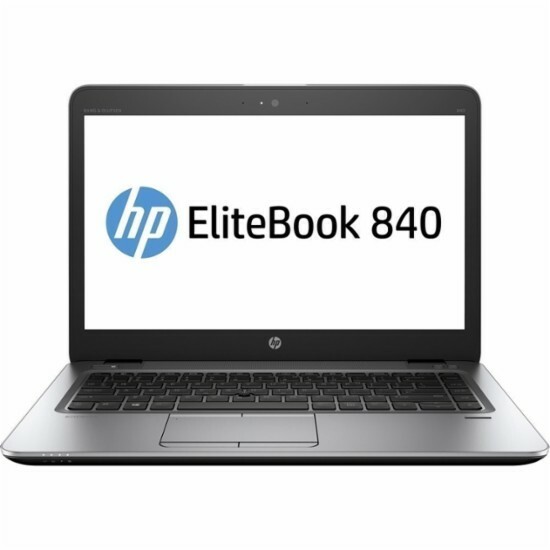 With regards to connectivity, this laptop PC comes packed with Intel 802.11a/b/g/n/ac (2x2) and Bluetooth® 4.2 Combo; Intel® Ethernet Connection I219-LM 10/100/1000; 1 USB 3.0; 1 USB 3.0 charging; 1 USB Type-C™; 1 DisplayPort; 1 VGA; and HDMI output expands your viewing options. This laptop PC is powered by Microsoft Windows 7 operating system preinstalled which is upgradeable to Windows 10 for free. This laptop measures 0.7 inch x 13.3 inches x 9.3 inches and weighs about 3.4 pounds. You can get this laptop at the price of $1599.99. Do you have this laptop PC? Share with us your experiences with this particular device. 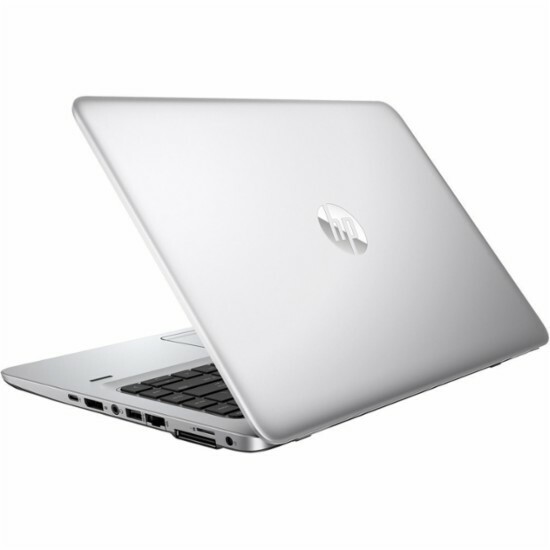 Other laptops in this price range include MSI PE72 7RD PE72666; MSI WE62 7RI-1861US Intel Core i7-7700HQ and DELL XPS9365-7926BLK-PUS.